It’s Christmas, which means lots of festive parties (especially if you are celebrating your first Christmas in your new home) and warm glasses of mulled wine on those chilly winter nights. It’s likely that you will gradually end up with a mound of leftover wine corks after lots of festive fun. Well don’t just throw them in the bin, you can actually use these corks to make a very cute decorations for your Christmas tree. There a lots of different designs and tutorials which can be found online, but this tutorial we found is not only very easy but also produces fun looking cork reindeers. Why not make your own Dasher, Dancer, Prancer and Vixen, Comet, Cupid, Donner and Blitzen; oh and don’t forget Rudolph! There have been weather forecasts that we are in for a chilly Christmas, but when it comes to the prediction of snow, in particular a white Christmas, don’t get your hopes up. However, we know a way you can guarantee a white Christmas, well to a certain extent anyway. And for those of you who haven’t already guessed it, you can decorate your house with snowflakes! 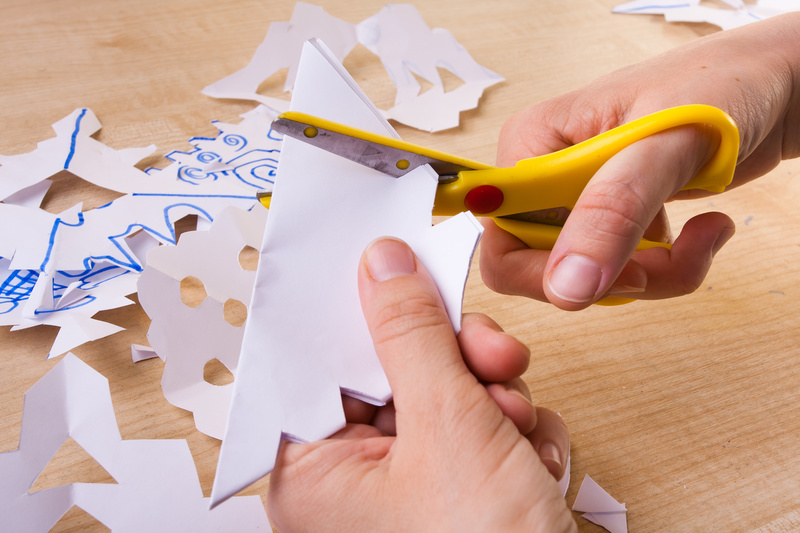 As a child making snowflakes by simply folding some paper and cutting out random shapes was a lot of fun, and of course you can do this but if you want to challenge yourself, there is a way in which you can take snowflakes to a whole new level, and that is make them 3D. Sounds daunting? Take a look at this helpful video guide on how to create 3D snowflakes. You may decorate your house inside and out with wonderful festive tokens, but have you ever considered making your Christmas decorations into a multi-sensory feature? There are many smells that we naturally associate with Christmas: pine, cinnamon, vanilla and many more. We have found this guide on how to make your own Christmas potpourri. Not only will your home look like the essence of Christmas but it will smell gorgeous too. When it comes to shop bought Christmas decorations, the prices can be extortionate. An expense you will probably want to avoid if you have just moved into your own home. 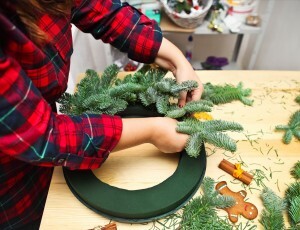 You can cut these costs by making your own natural decorations using natural resources. During summer our eyes are delighted by beautiful vibrant flowers, which sadly disappear during winter, but this doesn’t mean there isn’t amazing foliage that can’t be used to create some wonderful wreaths or tree decorations. You could use items such as cedar branches, baby’s breath, pine cones, sage, holly leaves or any evergreen plant to create an amazing display which will enable you to create your own traditional looking wreath to proudly display on your door. All you need is some floral wire or foam base, plus some additional wire or glue to attach all your decorations. You will find plenty of inspiration online, but you can truly let your imagination run wild with this and make something completely unique. It doesn’t even have to stop with wreaths, items such as pine cones can be found in their plenty this time of year, so why not collect them and decorate them with silver or gold spray paint to use as tree ornaments. The world is your oyster when it comes to decorating your home for Christmas. No matter how you decide to decorate your home this Christmas, the important thing to remember is to have fun. Christmas time is full of festive spirit, so should be enjoyed and made the most of, especially if you are enjoying your first Christmas in your new home like all our new Smarts Quarter residents. We are definitely feeling in a crafty mood now so will be having a go at making some of our own decorations to use at home and in the Green Spinnaker office.